For our May meeting we were treated to an afternoon of wonderful live music by popular local duo Julie Roberts and Michael Hinton. 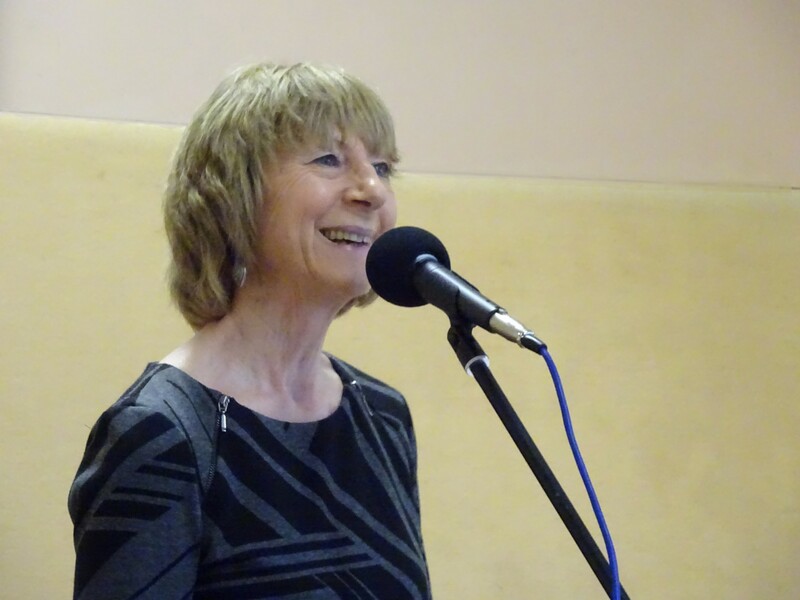 Julie sang a wide range of songs - from jazz standards to one of Michael Hinton's own compositions. The jazz standards included 'Desafinado' by Antonio Carlos Jobim, and '(Ah, the Apple Trees) When the World Was Young' a haunting French song for which Johnny Mercer wrote English lyrics. In keeping with the shared learning ethos of U3A we felt privileged that the duo gave us the opportunity to be the first to listen to some new material they have introduced into their repertoire. These included: 'A Nightingale Sang in Berkeley Square' which is such a nostalgic song; Ain't Misbehavin'; and 'My Heart Belongs to Daddy'. They had written a special verse that referred to U3A for 'My Heart Belongs to Daddy', which amused us and was much appreciated! The audience was invited to join in a couple of numbers including the popular jazz standard 'Georgia' - although it has to be said that most of us sung with more gusto than expertise. It was a thoroughly enjoyable afternoon.